Ben joined Belvedere Mead in November 2014 and brings a wealth of claims experience, both technical adjusting ability across several classes and the management of claims operations. Ben’s experience has been gained across a wide variety of claims on the casualty and property classes, including professional lines. 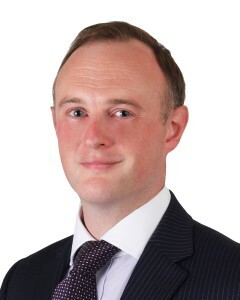 Not only has Ben been responsible for portfolios of complex claims, handling all aspects of a claim from coverage decisions through to litigation management and broker liaison, he has had responsibility in managing teams of claims negotiators, ensuring all training and development needs were met. On the operational side of the business Ben’s abilities are available to assist our clients develop claims best practice whether strategic direction, service delivery internal and external or the monitoring of Service Providers including audits. Ben currently assists the Chartered Insurance Institute in the delivery of the Advanced Diploma modules of their professional development programme, having qualified as an Associate of the Chartered Insurance Institute in 2011 when he was also the winner of ‘Maurice Hempsall Trophy for Excellence in Exam Performance’ awarded by the CII.